Marissa joins Pointe Magazine having worked as a beauty editor for publications like Teen Vogue and InStyle. She graduated from Rider University with a BFA in dance and journalism, training at the Princeton Ballet School during her studies. She has also danced with The Rock School and South Jersey Ballet Theater. First State Ballet Theatre's Rie Aoki in the studio at Steps on Broadway, NYC. Quinn Wharton. First State Ballet Theatre company dancer Rie Aoki was documenting her fashion choices long before Instagram was around. "When I was 8, I used to dress up my little sister and take pictures of her outfits because I loved styling," she says. Aoki grew up in Japan, and started her own fashion blog in high school before coming to the U.S. to pursue a ballet career. After joining FSBT in 2013, Aoki's pictures of her outfits on Instagram (@rievictoriaaoki) took off. Now with a following of over 10 thousand, Aoki has also started a new style blog. "I love warmer colors like reds, yellows, oranges and browns," Aoki says. "And I'm all about mixing patterns and textures—if you stick to the same tones, you can wear totally different patterns and it looks fashionable," she explains. "But I don't think there are really rules for fashion. It's 2019. You can wear what you like and try something funky or a little crazy." Nardia Boodoo. xmbphotography by Mena Brunette. Nardia Boodoo has the perfect remedy for the winter blues—a colorful wardrobe. The Washington Ballet company member favors a dressy athleisure style that's as comfortable as it is vibrant. "I love to play with bright sweaters because it's just fun when it gets cold and gloomy out," Boodoo says. In addition to her multicolored style staples, Boodoo counts high-waisted skinny jeans as another part of her off-duty uniform. "I love to pair my Madewell jeans with a long-sleeve crop, a jacket and my Reebok Classics," she says. ABT corps dancer Melanie Hamrick will be taking a leave of absence from the company's spring season, but for the best reason possible: She's working on her own ballet. Her piece is set to premiere in March, and will feature music curated by Hamrick's longtime boyfriend, Rolling Stones frontman Mick Jagger (cue the moves like Jagger puns). San Francisco Ballet soloist WanTing Zhao adds a pop of color to her winter wear. Photo by Quinn Wharton. Winter weather is here, and since it's not going away anytime soon, we're embracing the cold and bundling up in style. If you're looking for a new coat to throw on over your leotard and warm ups or some every day clothing inspiration for your (limited) life outside of the studio, these pros have got you covered. Check out some of favorite street wear ensembles—winter edition. 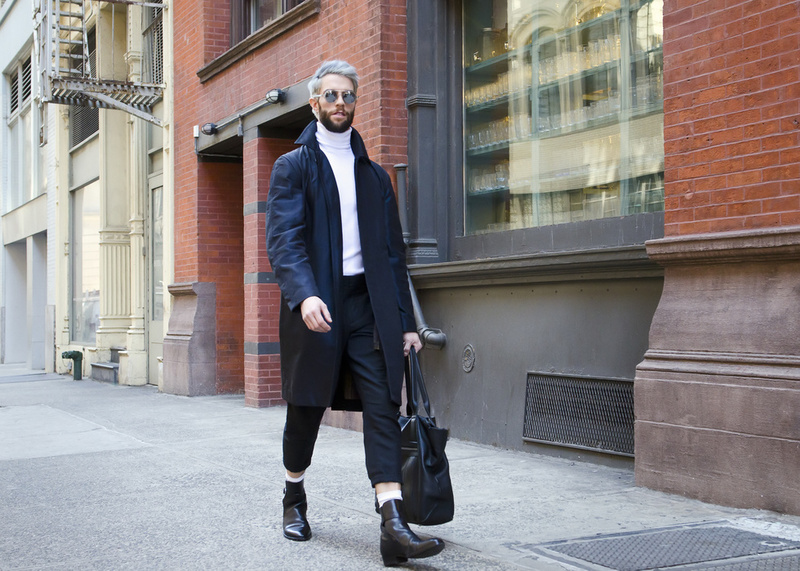 Proof that neutral colors don't have to be boring, James Whiteside pairs a crisp, white turtleneck with a dark peacoat and pleated pants. We're also totally behind wearing sunglasses in the winter. The aftermath of the wildfires at the studios of Northern California Ballet. Photo courtesy of SteelCore. The holiday season is all about giving, and if you're looking for a way to help someone in need this year, dancewear brand SteelCore is hosting the perfect initiative. The brand's founder (and former New York City Ballet dancer) Marisa Cerveris launched project #DisplacedDancers this winter to help northern California-based dancers in the Paradise, Chico and Malibu areas, whose lives were affected by the wildfires that recently devastated parts of the state. Dance Magazine has just announced their annual "25 to Watch" picks and we naturally went straight to the ballet people. 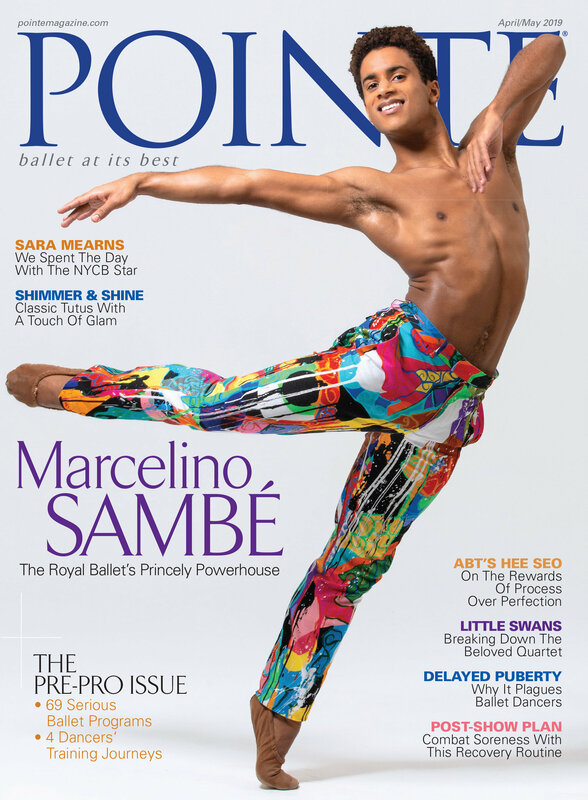 The 2019 list includes up-and-coming dancers, choreographers and companies, and you may even see a few familiar faces from Pointe's 2018 "Stars of the Corps." You can check out Dance's full list here. In the meantime, get ready to see a whole lot more from the ballet dancers (and choreographer!) ahead. Kira auf der Heide via Unsplash. All product photos by Jayme Thornton for Pointe. The holidays are fast approaching, and if you're still in need of the right gift for the ballerina on your list, we've got you covered. From every day essentials like a new leotard, to gifts that are slightly more unexpected (but still practical!) like crystal hair pins, here's what we're gifting this year. This Ballet Company Is Bringing LED Light Tutus to Its Production of "The Nutcracker"
Photo by Lucas Chilczuk, courtesy of Brooklyn Ballet. With so many productions of the Nutcracker taking place this month, it's no surprise that companies are looking to put their own spin on the holiday classic. At Brooklyn Ballet, that switch-up comes courtesy of fiber optic tutus that literally light up the stage during the "Waltz of the Flowers" scene (and a production that fuses ballet with hip-hop and world dance genres). Partnering up with Brooklyn-based tech company Interwoven, BB's hi-tech tutus can be seen in action in the (soundless) clip below.